I spent the week before Thanksgiving in Georgia, visiting family. I got up early on Monday and headed for my parents home. From London Kentucky on south, I drove through the smoke and haze created by the numerous forest fires raging though the Smokies. 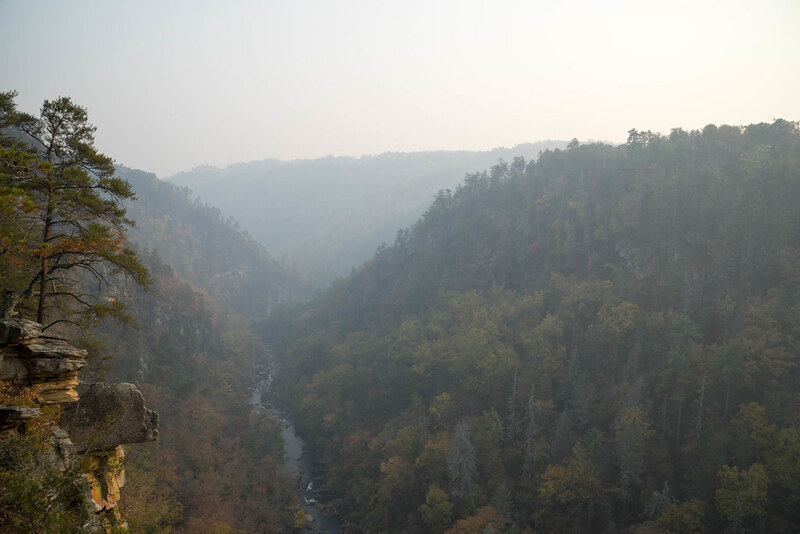 An hour away from my destination, I stopped in Tallulah to see the gorge. This is the deepest gorge east of the Mississippi River and one of my favorite stops. My sister, Kelly lives just across the road, tucked up in the lee of a mountain. As you can see, the smoke settled into the gorge, filling it with a burnt haze. The smell of it filled the air. And while, I normally enjoy the scent of a wood fire, I ‘d been sitting in the smell for hours and was done with it. 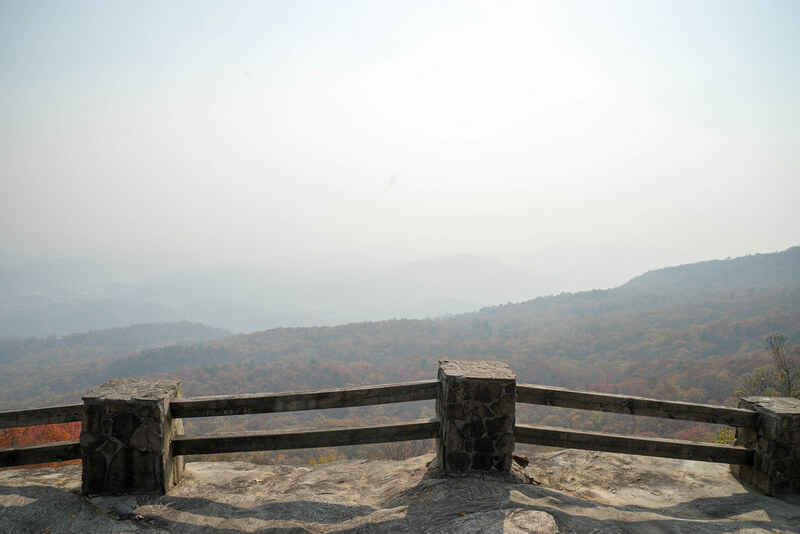 This scene was captured atop Black Rock Mountain just a few minutes before I arrived at Tallulah Gorge. You can see that the view is completely filled with the smoke of the fires burning near Tiger, GA. The Smoky Mountains were definitely living up to their moniker. Can see the beautiful colours in the foreground. Fire is necessary for renewal. Magnificent view even with the smoke haze. Liz, I know that in the long ter, the fires are good for the forest. However, some were set by arsons and there have been some deaths and hundreds of homes and businesses have been destroyed. It’s sad to see a region that is dear to me ablaze. Sad to hear that idiots were responsible. With the heat waves forecast for Australia this year I guess we will have some of our own.